I was listening to the CBC (Canadian Broadcasting Corporation) noon-time ‘open-mouth’ show on the radio as I drove from one appointment to another on Monday. The guest ‘expert’ that day happened to be a grammar expert: I missed the introduction, but I inferred that he was a high school English teacher. He and the host discussed various aspects of grammar, and people called in with their grammar-related questions, as well as their pet peeves. In his attempt to avoid the jargon as he put it, his explanations of why certain English grammar rules are what they are lost something in the translation making it difficult to view his explanations with much credibility. The show ignited my inspiration to write this blog post and then, oddly (is grammar in the air this week? ), colleague Alison Delorey wrote a blog post on our students’ newsletter on the very same topic. Truthfully, though, her post is on grammar as style and you should read it. She suggests that “Grammar can be creative, interesting and exploratory…” and I agree with her; my concern in response to the call-in show, though, is that grammar is first and foremost a framework or structure for verbal communication in general. 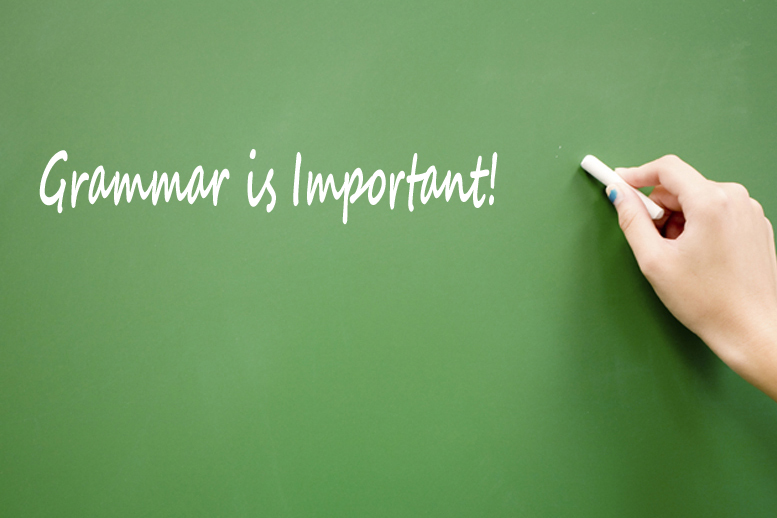 Grammatical mistakes frequently result in failure to communicate, and so your message, whatever it may be, is lost. A caller to the radio show guest asked him the simple question: What is the difference in usage between ‘bring’ and ‘take’? It was his answer to this particular question that started to get me riled up about over-simplification of the rules. His response was to tell her that “I bring” and “You take.” I started thinking about this as the caller also tried to process this new information. I was thinking that this couldn’t possibly be right since you can also bring clarity to a situation (you wouldn’t’ ‘take’ clarity to a situation), and I can take action on something (I wouldn’t ‘bring’ action). Clearly you can also decline both of these words: I bring, you bring, he brings etc. So, it sent me flying to Margaret Shertzer’s The Elements of Grammar (a kind of companion to Strunk and White’s classic Elements of Style, and my bible for all things stylish (although not my wardrobe!). According to The Elements of Grammar the difference between the two words is this: to bring means to convey toward (the speaker); whereas to take means to carry from (the speaker). There, now I feel better. He had over-simplified it and muddied the ability of the speaker to convey a message. Although messages can be the victim of the grammar-challenged among us, for me it’s often more of a simple stylistic issue – which takes us back to Alison’s point. In fact, most of the grammar mistakes that I find particularly annoying (somewhat like the sound of fingernails on a chalkboard in my world) are personal peeves. So, now it’s my chance to rant a bit. For the love of god, let us stop turning nouns into verbs! It’s beginning to get out of hand. One curmudgeonly grammarian on the internet came up with examples that even I haven’t even heard. “I’m going to suicide,” “after I enema it all out”, for example, then this grammarian questions when we stopped “writing” books and began “authoring” them. Hmm. Now if I could just banish the word “impact” used as a verb in my students’ writing, I think that I will have had an impact on (not impacted) their style! Shertzer, Margaret. 1986. The elements of grammar. New York: The Macmillan Publishing Company, p. 144. Previous Author web sites: Need to have, nice to have or nuts to have?